Creative IT offers superior Acer Extensa laptop repair services and solutions to small and medium business in and around London. We are dedicated to providing our customers with unrivaled London laptop repair service. We recognize the importance of great attention to detail when working with your valuable Acer laptops. Our staff includes trained and Microsoft certified engineers with years of experience in troubleshooting, repairing, upgrading and installing Acer Extensa laptop and network systems. This ensures the utmost quality of service and offers you with peace of mind that your out of order laptop will be handled by a qualified expert. 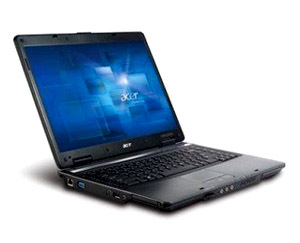 We fix both business and home Acer Extensa laptops in and around London. There is no complex or hidden prices. We offer both expert in-store Acer Extensa laptop repair service. When you feel that your laptop computer isn’t performing the way you want it, bring it to our qualified technicians at Willow Walk, London for expert diagnosis and repair. With our unbeatable prices and superior friendly service, we welcome you to a better and more affordable laptop repair source in London, UK. We provide an exclusive Acer Extensa laptop repair service that saves you time, money and headaches. A member of our staff will come right to your house to pickup your laptop depending on the complexity of the issue. Our laptop repair is based on principles such as customer service, quality of service, and competitive prices. Our maintenance services keep your network and laptops running at peak efficiency and stability. As part of Acer Extensa laptop repair services, we undertake laptop virus prevention and protection, security audits, firewall setup, Spyware and Adware protection, Networking/Internet setup, software and hardware upgrades, laptop LCD backlight repair, laptop hard drive repair / replacement / upgrade and laptop ram / memory replacement / upgrade.